Built on the FOCUS 7 touchscreen monitor platform, the FOCUS 7 Bolt 500 RX features the industry standard Teradek Bolt receiver. This essential tool is designed to receive wireless video from Teradek Bolt 500 transmitters and SmallHD transmitter/monitors at distances up to 500- feet line-of-sight. 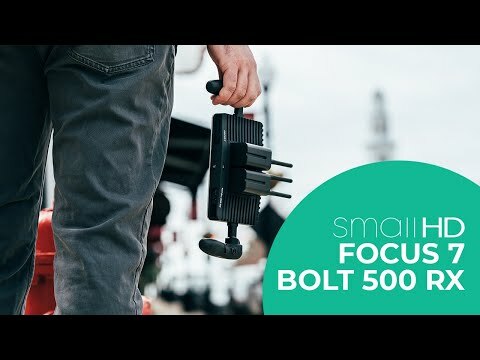 The FOCUS 7 Bolt 500 RX (and all SmallHD wireless monitors) effortlessly pair when both the RX and TX are set to Pairing Mode in the Wireless Settings menus.